Before Mickey and the Soul Generation there was Mickey and The Fabulous Five. As members of a Latin Soul band called The Royal Tokens, Mickey Foster and Emil Carter developed their chops playing in front of San Antonio teens at Sunday night Battle of the Bands shows. Mickey’s own band, The Fabulous Four, soon became The Fabulous Five with the addition of Gilbert Rivera on bass. In the late summer of 1967, local music entrepreneur E.J.Henke took the Fabulous Five into Jeff Smith’s Texas Sound Studio to record two sessions of funky New Breed Soul instrumentals as well as a backing session for Charles Russell’s group, The Three Dudes (BC014-45). Still a teenager, Mickey and his father both signed Henke’s recording contract. While their recordings with The Three Dudes were released as a single on Henke’s Satin Records, the superb instrumentals The Fabulous Five cut during the summer of ‘67 remained unreleased until now. Relying heavily on the rhythm section, this set of recordings captures the young band crystallizing what would become their signature sound. 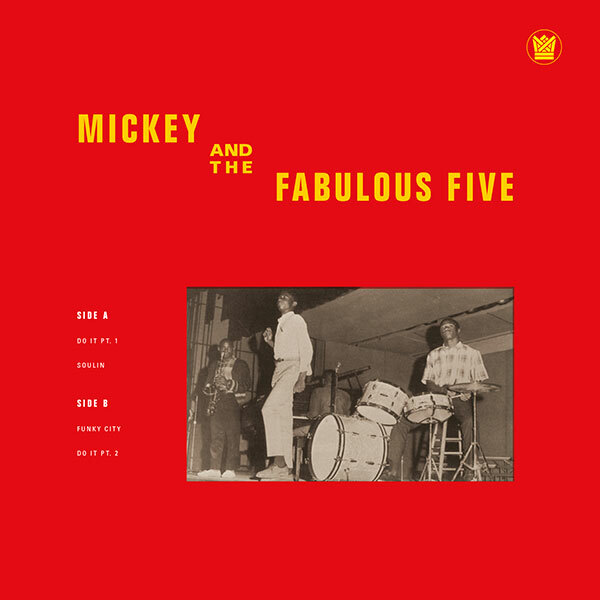 By 1969, The Fabulous Five had changed their name to Mickey and The Soul Generation and had begun recording their now legendary sessions with Manny Guerra’s GC Productions. These early sessions stand alone as a key chapter in the development of one of the greatest, heaviest exponents of Funk.